Providing you the best range of current collector, forged grip galvanized, forged grip heavy duty, ms forged grip, forged grip stainless steel and ss forged grip with effective & timely delivery. Our company has gained a wide recognition in the domain due to our offered Current Collector. The offered collector head is manufactured with utmost efficiency by a deft troop of professionals by utilizing premium grade metal alloy. This collector's head is well suited to carry electric power to the vehicle or electrical equipment. Along with this, the provided Current Collector Head can be easily purchased from us in vivid technical specifications at a very reasonable cost. 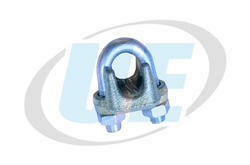 We are offering Forged Grip Galvanized. 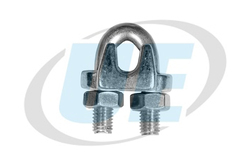 We are offering Forged Grip Heavy Duty. We are offering Forged Grip MS.
We are offering Forged Grip Stainless Steel. We are offering SS Forged Grip.